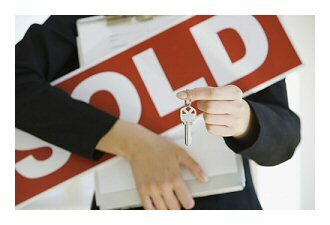 1) When contacting the seller, be flexible. Try to arrange a good time for viewing the home. Take someone with you; it isn't a good idea to tour a property by yourself. Make sure that someone knows where you are going and when you will be returning. Safety is always important. Keep in mind that the seller may feel that way too and won't necessarily want to show the property to someone asking to see the home without an appointment. 2) Keep in mind that you are looking mainly at the location, size, layout and amenities of the home. It is possible that the home may not be clean because the owner is disabled, elderly or that the property has been vacant for some time. A good thorough cleaning can make a world of difference, so try to overlook that aspect. Overlook the clutter. That can be changed if and when you buy the property. 3) Look at the condition of both the outside and the inside of the home. Does it need work? If so, you may be able to get a bargain and have the work done at a reasonable price. If the home is in good condition and you want to move in immediately, this may be an aspect that will be important to you. 4) Be polite. Even if the decorating is terrible, this is the sellers home. Respect their property and don't comment on personal items in the home, unless it is a positive comment. If the home is being sold furnished, you can always substitute items to suit your taste. Feel free to ask the seller about traffic, noise, neighbors, local attractions, restaurants, shopping, etc. Get as much information as you can so that you can make your decision wisely. 5) Does the park/community allow pets? If you have a pet, that may be important. If you don't have pets, that may be equally important. Find out the policies of the park. Take a drive through the community both during the day and evening and check the number of pets you see. Do the owners seem responsible? Are they carrying a dog waste bag with them? 6) Make sure that the park policies work for you. Check to be sure that you will be able to sell the home if and when you want to. Ask about sales policies. Can you put a sign in your window. Can you use an outside agent? Is there a restriction on the age of the homes in the park? Do they have a maintenance crew? If there are problems, how fast will you get service? 7) If you will need to obtain financing, get pre-qualified before you start viewing homes. Let the owner know that you are able to finance the home. If you won't need financing, let the owner know that you are ready, willing, and able to buy their home. 8) When you want to make an offer, be aware that a down payment will be expected. Be reasonable about this. Obviously, if you were to back out of the deal, your payment may be non-refundable, but the owner will take your offer more seriously if your down payment is substantial. He or she will not want to take the property off the market for a buyer that is still wavering, and wants to have it both ways. Make sure you agree on all aspects of the purchase before you give a deposit. 9) Be flexible. If the owner needs an extra week, don't let that be a deal breaker. You can always stay in a hotel if necessary. Some owners will be more difficult than others. Keep focused on the property and the big picture. On the other hand, if the owner is totally unreasonable, don't waste your time. There may be a reason that this home has been on the market for a very long time. 10) Arrange for insurance. Once the property is signed over to you, the liability is also yours. Even if the property was a bargain basement price, if you don't insure it, you would be liable for any accident that might happen on the premises. Take care of the necessities, and then, sit back and enjoy your new home!